Half Off Gingerbread Decorating at Gaylord Texan! 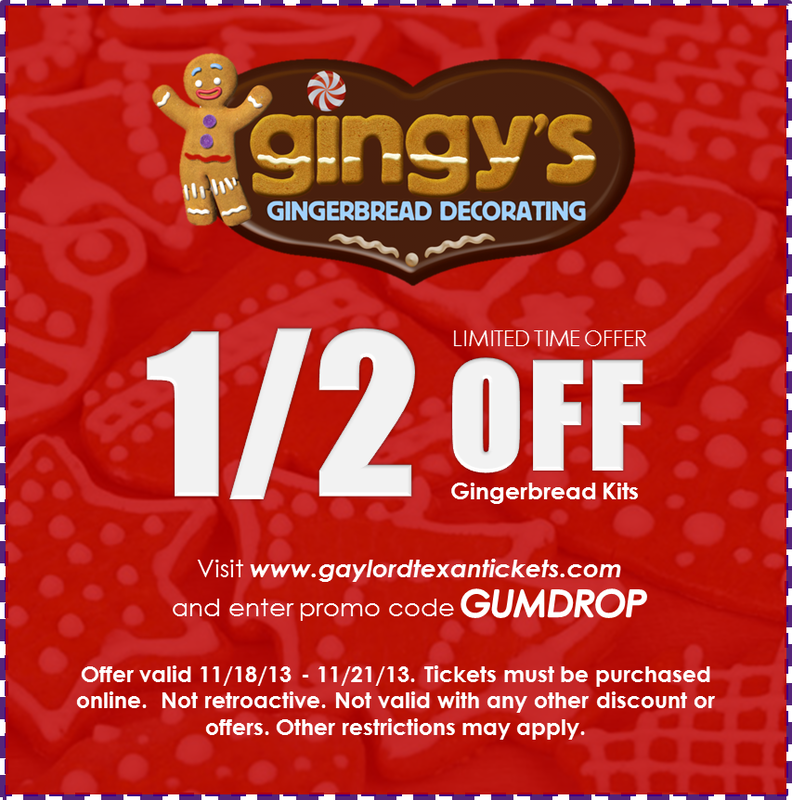 Purchase your tickets online HERE and use promo code: GUMDROP for 1/2 off Gingerbread Kits at Gingy’s Gingerbread Decorating. Valid 11/18 – 11/21. Previous postHOT New Printable Coupons ~ Mars Candy, Campbell’s, Bic and More! Next postWin a FREE Car Detail from Classic Chevrolet!